I was pleasantly surprised again and again at this wonderful gem of a spot on Randolph Street. The entrée I had planned to get, a sea bass, was wonderful, as was the scallop appetizer we had. 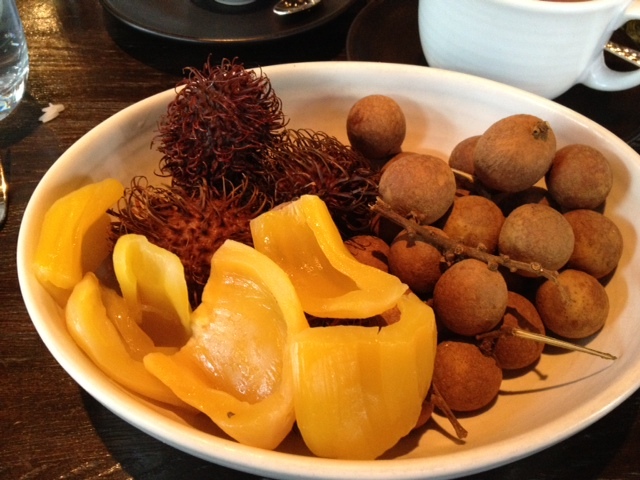 A dessert of exotic fruits was fabulous, I brought most of them home and ate them for several days. A friend I ate lunch there with got the cream puff dessert and I tried a bite, it was great; if not for my restrictions on sugar and fat, I would have gladly eaten it as my dessert. 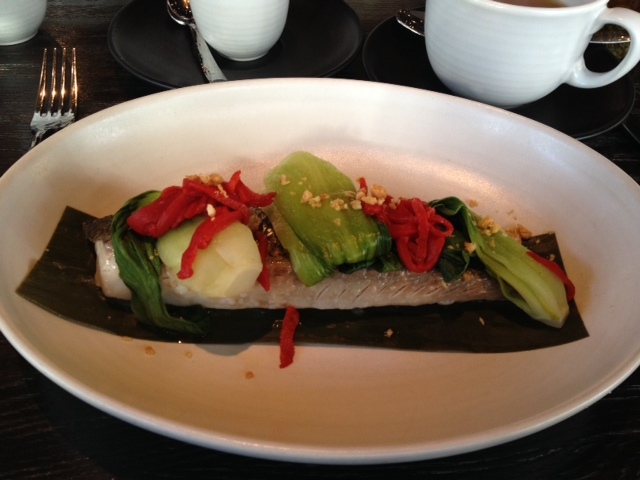 My wonderful sea bass at Embeya. I asked for my bass without salt and was told no problem. Later, I was fortunate enough to speak with one of the owners, Komal Patel, and she told me the place is never thrown by people requesting special items or special prep to conform with their special dietary needs, such as my no salt request. My exotic fruit plate, a really fun dessert that I don’t think violated any of my restrictions for fat, sugar or salt. Embeya will definitely see me again, I want to try some of the dinner items and see if I can get those sans salt as well. I put Embeya in that very special category of places willing to cook for me, and for others who love dining out but have restrictions on what they eat now and don’t want to be made to feel foolish because of those. My no salt request is standard anywhere I eat now. 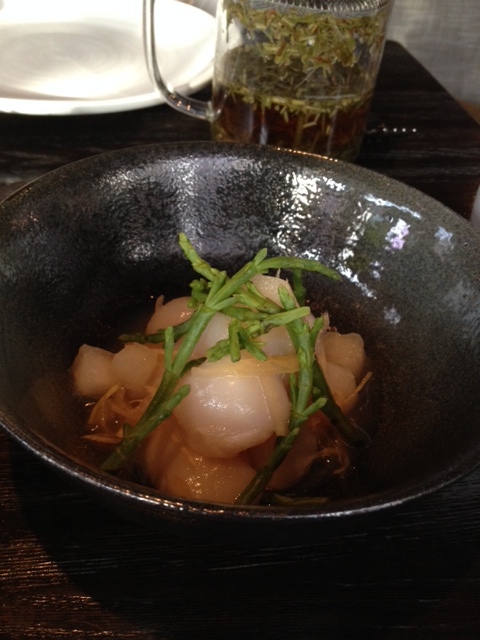 Places that can handle that and still produce wonderful dishes are very special to me, as Embeya is. You can also read the post my colleague wrote about our visit on her blog, The Ghost Guest.